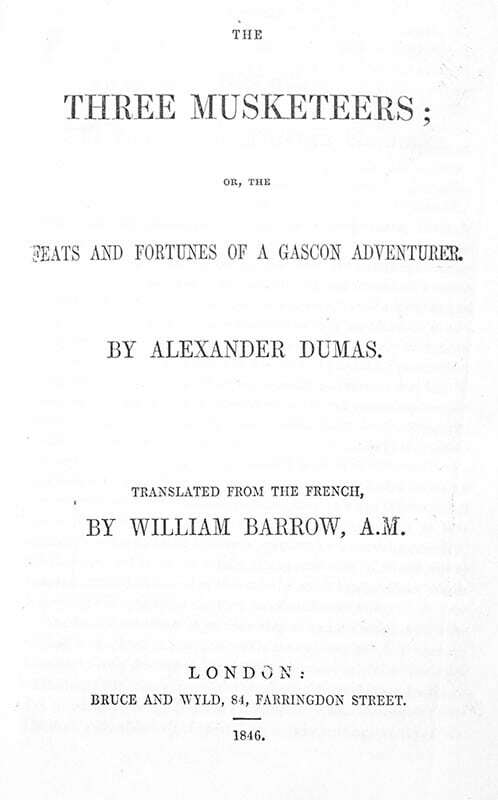 The Three Musketeers; or, the Feats and Fortunes of a Gascon Adventurer. 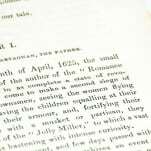 London: Bruce and Wyld, 1846. 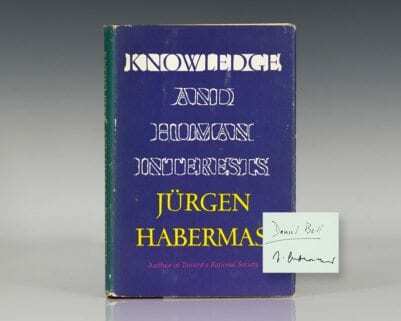 First edition in English of Dumas’ masterpiece. 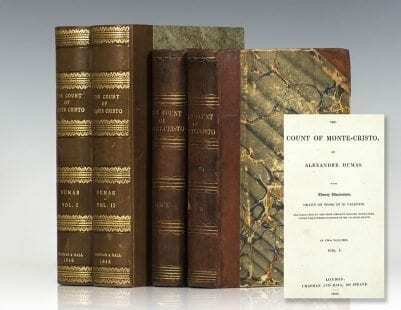 Octavo, bound in full contemporary calf, gilt titles to the spine, raised gilt bands, marbled endpapers. 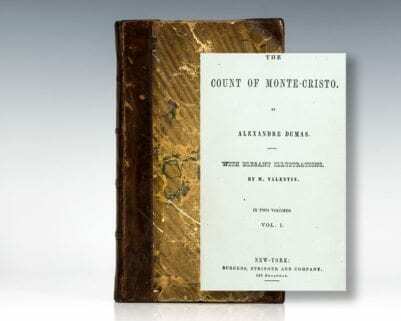 Translated from the French by William Barrow. 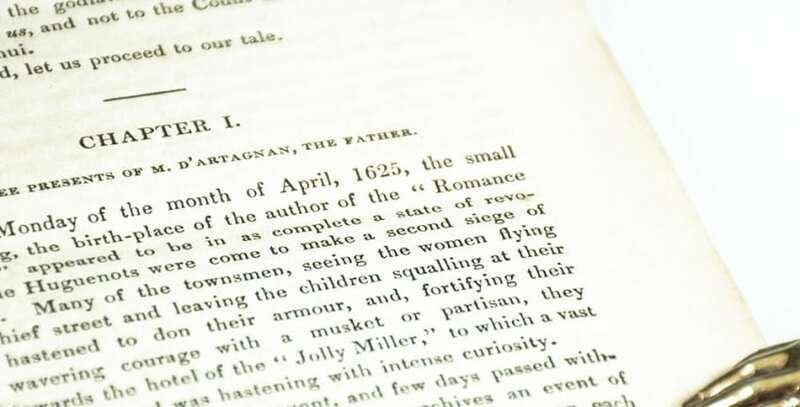 Barrow’s translation was the first of three English translations published in 1846 and is considered the most faithful to the original text. To conform to nineteenth century English standards other translations removed many of the explicit and implicit references to sexuality which adversely affected the readability of many scenes. Period bookplate to the front pastedown, in very good condition with some loss to a few pages. Housed in a custom half leather clamshell box. 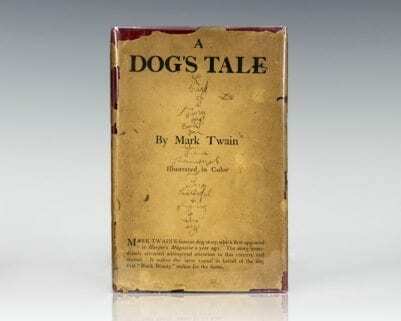 First editions are of the utmost scarcity. 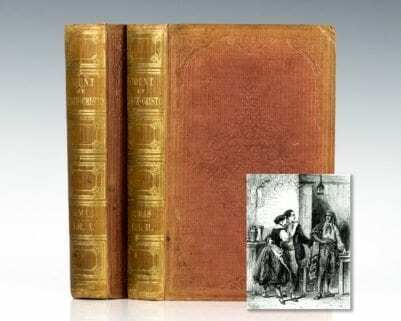 Set in the mid 17th century, Alexandre Dumas' masterpiece, The Three Musketeers, chronicles the adventures of the young, foolhardy, and brave d'Artagnan as he leaves his family in Gascony to join the Musketeers of the Guard in Paris. A military branch of the Royal Household of the French monarchy, the King's Musketeers furnished a company of light cavalry and formed the royal guard for the king while he was outside of the royal residences. As the story goes: once in Paris, d'Artagnan is appointed by King Louis XIII to Des Essart's company of the King's Guard and befriends three Musketeers: Athos, Porthos, and Aramis. He soon becomes involved in a plot of seduction, murder and revenge that ultimately results in his promotion to the Musketeers, although he is left heartbroken and filled with regret. 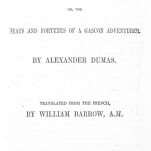 First serialized from March to July of 1844 (four years before the beginning of the French Revolution), Dumas used the protagonist's adventures as a vehicle to explore the injustices that defined the current social and political climate. The novel was adapted into numerous television series and films including the 1993 Austrian-American action-adventure comedy starring Charlie Sheen, Kiefer Sutherland, and Tim Curry. Alexander Dumas Original Carte-de-Visite Signed. 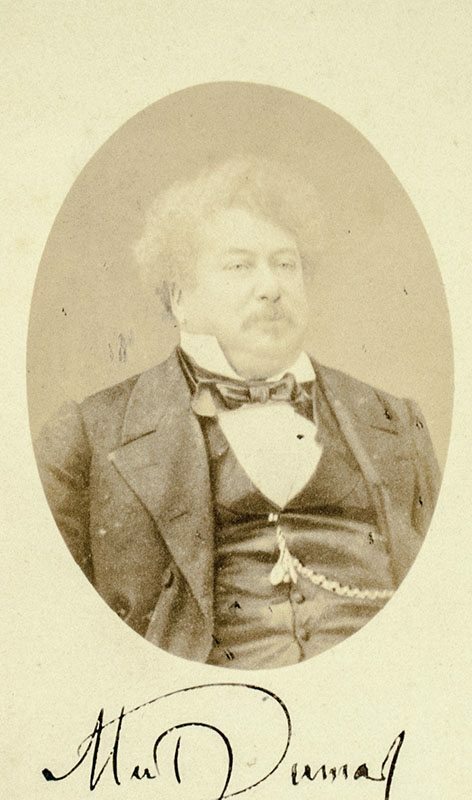 Original carte-de-visite of famed author Alexandre Dumas. In near fine condition. The carte-de-visite measures 2.5 by 4 inches. Alexander Dumas Autograph Letter Signed. Autograph letter signed, “Alexandre Dumas,” to Martin d’Oisy, in French, requesting a copy of the letter from Louis Philippe to King Charles X, including any deletions One page with integral address leaf. Matted and framed with an original carte-de-visite of Dumas. The entire piece measures 14 inches by 18 inches.